Firstly, the translator will do a complete and thorough reading of the text to be translated and when necessary take the time to do an extensive research on the subject matter to ensure accuracy. The translator will then translate the text according to the purpose and audience of the translation as defined by the Client, and use the supplied references if any. After a document is translated, it will undergo an editing process by our editor, who checks the translation in terms of grammar, formatting, language style and accuracy. The edited translation will then be submitted to a different reviewer to be proofread for surface errors, such as typographical errors, misspellings, mistaken words or terms, and incorrect punctuation. Finally, the final revision will be reviewed and acknowledged by the translator who will then deliver the final translation to the Client. 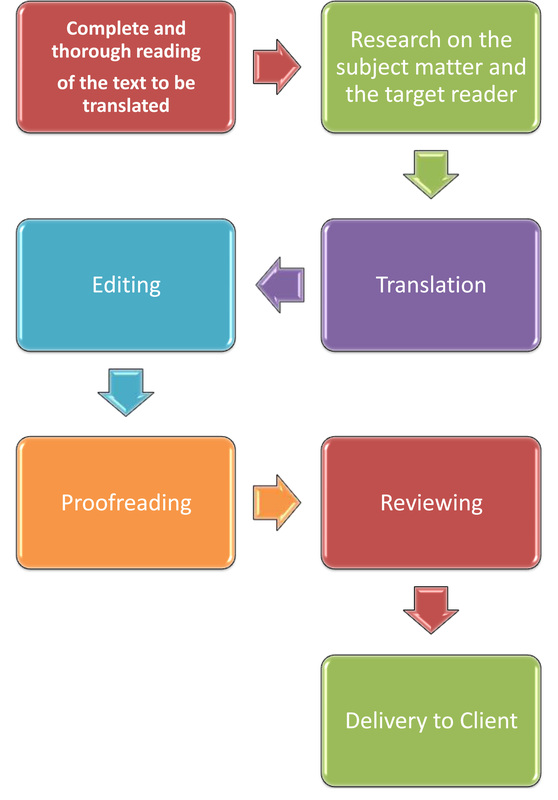 Our translation rates have included all of these services.